Of all the domestic fish out there, the Koi fish has, perhaps, the most well-founded reputation for being an animal of serenity. Their lazy meandering around tranquil, pure Japanese freshwater ponds, set against a backdrop of lush greens and rich, fresh air, is one of the legendary images of Japan itself. So, as simple as the name “Koi” is, it actually carries with it a lot of weight, and players will go in with the assumption that they’ll experience a beautiful, tranquil, and stress-free game. First time developer, China’s Oasis Games, should be proud; the team has done the material justice, and have presented us with a gentle, tranquil, and thematically valuable little game. It’s not an essential blockbuster, of course, but it’s a graceful and clean example of what an indie can do by working within its means. In Koi, players are in control of a single Koi fish, which needs to bring a equilibrium back to ponds that have been drained of life; pollution has got to them, we’re told. To achieve this, the Koi fish needs to search around the pond for other brightly coloured Koi fish, and then direct them to flowers that match their colours. Once joined the flower will bloom. Once all the flowers in an area have bloomed, the level is complete and it’s time to head over to the next challenge. It’s not all easy, however. The pond also houses hostile black fish. 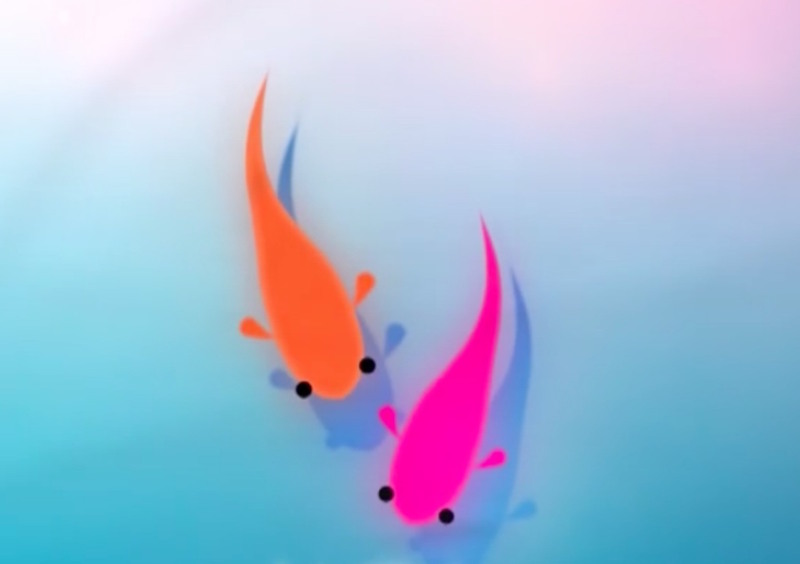 These fish swim around menacingly, and when they encounter your fish, they’ll attack. Being hit by the fish simply knocks your Koi out for a few seconds, so it’s hardly the end of the world, but the natural inclination is to try and avoid the menace nonetheless. These hostile fish are saved and reverted to normal colours after all the other fish have been united with their respective flowers. It’s a nice little bit of closure to see the “big bad” tamed, and a nice visual representation that the water has been purified. Later levels take a darker turn. Rather than racing around ponds, the Koi has to navigate through mazes on metal and machines. Metal and machines that are clad entirely in black; the developer isn’t exactly subtle about linking hostility and danger to machinery and human impact, and it's a simple, clear message to follow along with. But then it's an important message that people continue to ignore, for whatever reason, so I'm hardly opposed to another game address this theme. So you’ll never really struggle to achieve what Koi wants you to achieve, and with only a handful of levels, it’s also over quite quickly. Whether it represents value to you or not is a discussion for another time, but what I utterly loved about my time with Koi is that simple serenity that it offers as core to the experience. My little fish zips around the pond at just the right pace so that it’s not lethargic to the point of boring me, but without rushing to the point that I felt he was lacking in grace. The simple physics system at play does a great job in emulating the inertia of moving around in water… but without making me feel like I was ever lacking for control. It’s simple, it’s beautiful, and it’s artful; it really is not unlike the sense of inner peace that you’ll get from watching real Koi fish swim around. Speaking of water effects; they are spot on, and the rich, vibrant colours are a feast for the eyes. 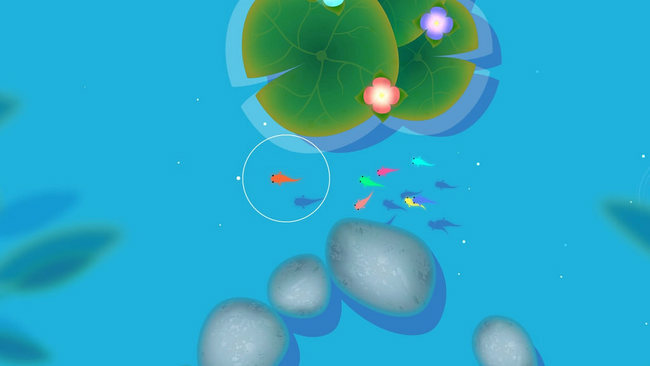 Koi is, again, minimalist, but it’s the right kind of minimalism, in using bold, rich colour in the fish as points of focus within the “white” space that dominates the screen, Koi furthers its ends - in this case, in being a game that wants to be elegant. Aside from the levels themselves, which as I said are over quite quickly, even when they throw in the occasional puzzle for good measure, there’s some additional objects that can be hunted out for bonuses. 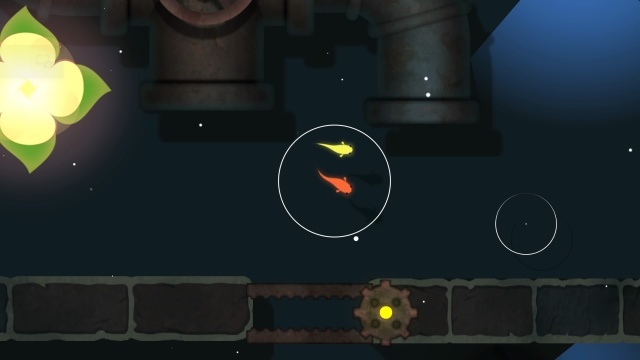 There are a couple of stars located in each level, which can be later traded in to acquire different skins for the fish. Additionally, there are puzzle pieces to track down. There are somewhat more difficult to find, but once you’ve collected them all you’ll be treated to a picture that really shows off the developer’s artistic talents. I’d be remiss in not mentioning the music, which fits with the theme of the game well. 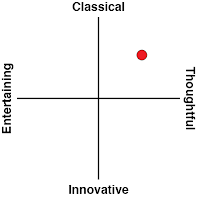 A couple of the music tracks feel a little too fast in tempo to perhaps support the serene themes the game is otherwise gunning for, but where that happens, it is a case of only the slightest of disconnects between music and theme. 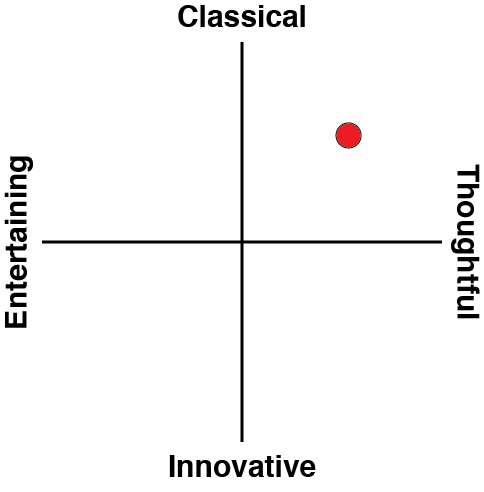 Further, the music holds up well in its own right, so I can hardly criticise it, even when it doesn’t quite connect with the rest of the game.